A lure for me for many years is a simple life. That doesn't mean boring. It doesn't mean giving up living in the modern world. But it does mean that I take a few drastic measures. For one, it means that not every child in my house has their own extra curricular activity. It also means that family dinners are a priority; sitting around the table, bowing our head in thanks to the Lord, talking with no TV on. It means not yelling for someone across the house, but walking over to them to speak. It means that we don't drive a new car until our old one dies. It means making the most of the home we have. It means living frugal and not keeping up with the neighbors. What does a simple life look like to you? What would you do for that vision? What would you give up to have your life simplified? It's a sweet thing to ponder. Enjoy a moment to ponder this idea. Perhaps on your patio or back deck with a cup of coffee or a glass of lemon aide. Go ahead and ponder. Ponder all day if you want and just be still. 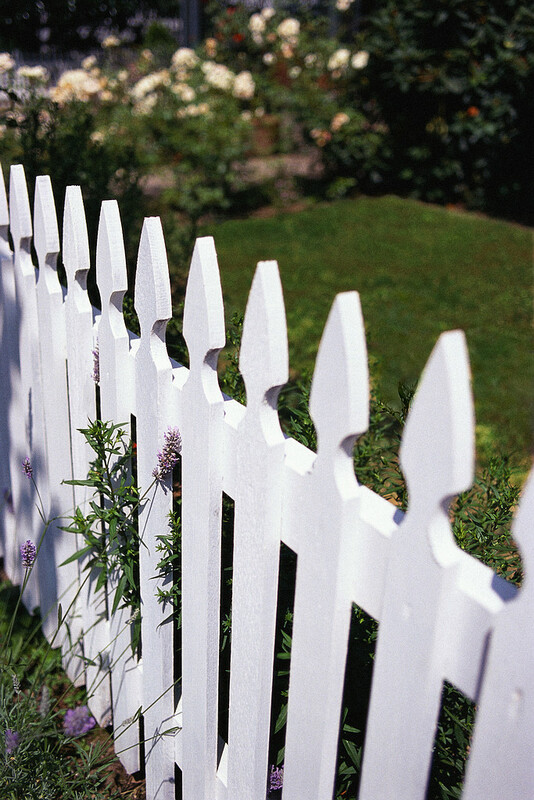 Fences are part of the idea of the American home. You've heard it before. 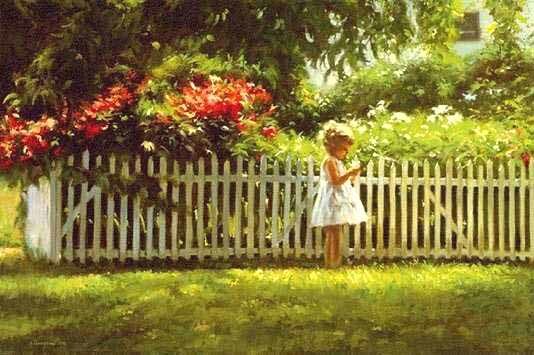 The white picket fence is part of the fairy tale home.